Note that because we’re converting an existing table, this must be done in two separate ALTER TABLE statements. 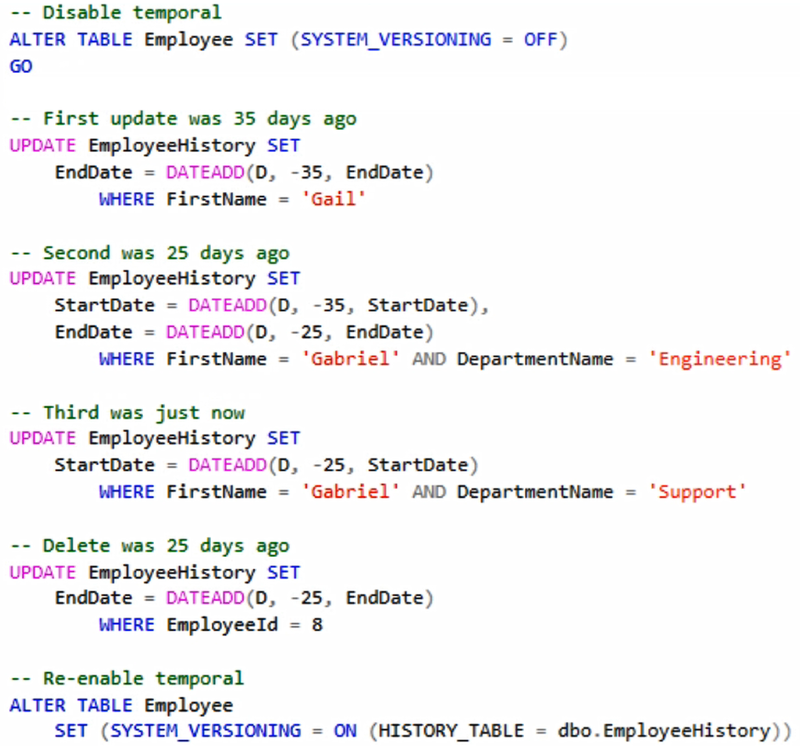 For a new temporal table, you can create it and enable it with a single CREATE TABLE statement. Also, and because this is an existing table with existing data, it’s necessary to set DEFAULT values that initialize the period columns with beginning-of-time (1900-01-01 00:00:00.0000000) until end-of-time (9999-12-31 23:59:59.9999999) values, which is not be necessary when creating a new table, or altering an existing table with no rows. 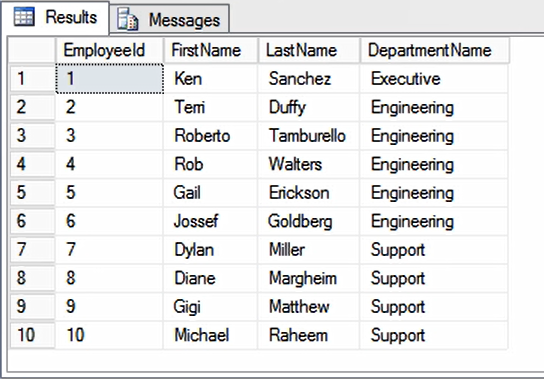 Now when we expand to see the Employee table in the Object Explorer, you can see that it is being designated as a System-Versioned table, which is the official name for temporal tables in SQL Server 2016. It also has a special icon showing a clock over the table, and this tells you that you’re looking at a temporal table. 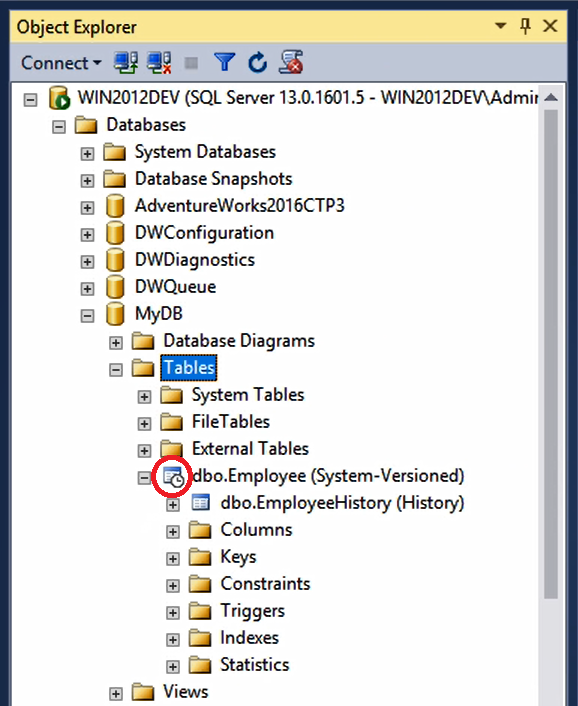 And nested directly beneath, is the history table, dbo.EmployeeHistory, which SQL Server has created with an identical schema to match dbo.Employee. The Employee table shows the current state just as you’d expect, with EmployeeID number 5 showing the result of the latest UPDATE, and EmployeeID number 8 being deleted. But if you examine the history table, you can see the three earlier versions of employee ID number 5, corresponding with each of the three updates we ran against that row. And we also see EmployeeID number 8, which we deleted. Let’s have a closer look at the period columns. In the main table, you can see that every row except for EmployeeID number five has period column values that span from the beginning of time until the end of time. But EmployeeID number five has a StartDate indicating that this version of the row began on August 14 at about 5:35pm. This tells you that there are earlier versions of this row available in the history table. In this code, we first alter the table to disable temporal. Next we update the history table period columns so that the first change, when the FirstName was Gail, actually occurred 35 days ago, and we adjust the EndDate accordingly. The second change, when the FirstName was Gabriel and the DepartmentName was Engineering, let’s say actually occurred 25 days ago. So we adjust the EndDate accordingly, but also the StartDate so that it aligns with the first update from 35 days ago. And the third change, when the FirstName was Gabriel and the DepartmentName was Support occurred just now, so we leave its EndDate alone and only adjust the StartDate so that it aligns with the second update from 25 days ago. We also tweak the deleted row for EmployeeID number 8 so that it appears this row was deleted 25 days ago. Finally, we re-enable temporal on the Employee table. Now we have a table with a history of changes over the past 35 days. And the beauty of temporal is that we can instantly query this table as it appeared at any time during that period. 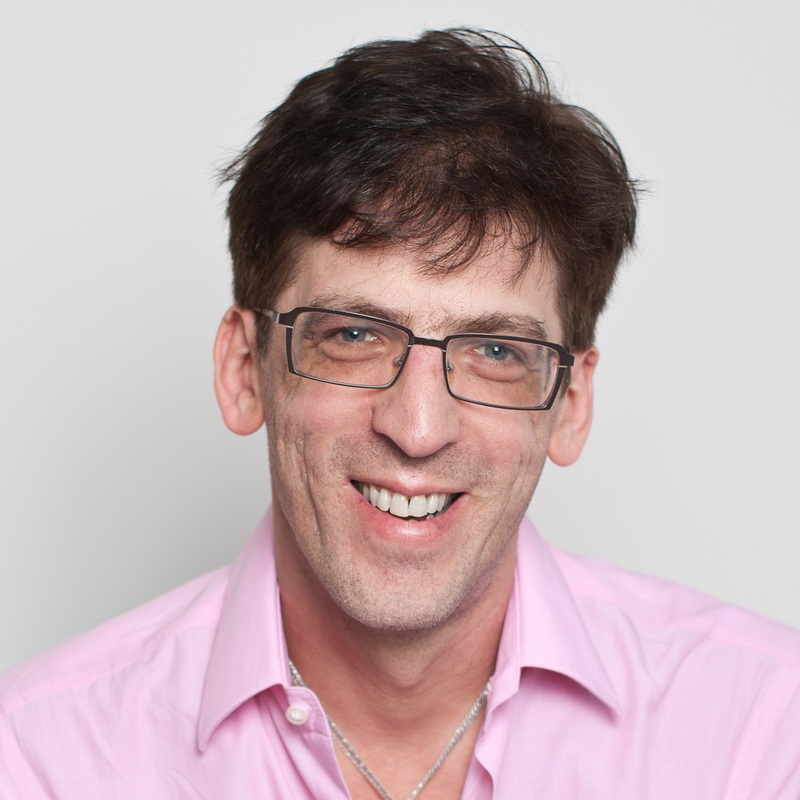 All you do is issue an ordinary SELECT statement, and include the special syntax FOR SYSTEM_TIME AS OF. As you can see, time travel with temporal tables is pretty awesome. But it doesn’t end here. 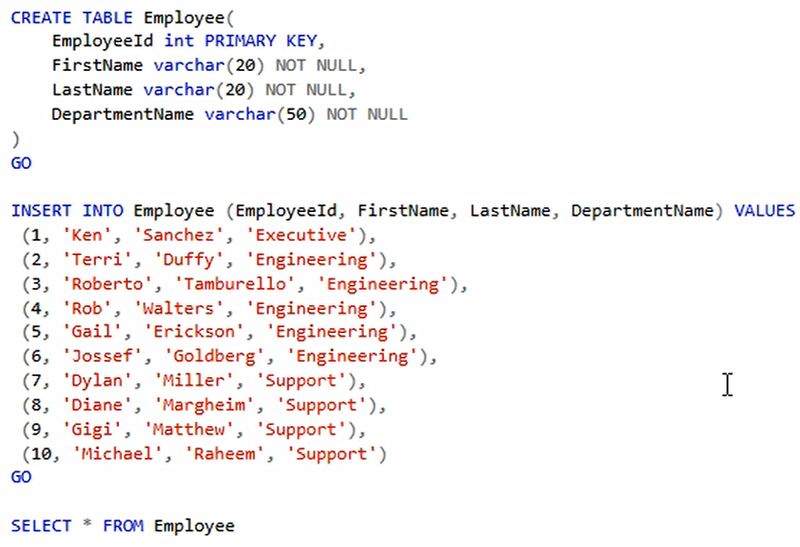 Stay tuned for a future post that shows how to use the new stretch database feature to transparently migrate part or all of the temporal history table to the cloud on Azure SQL Database.